Netanyahu sends letter of condolence to French President, speaks with German and Spanish leaders following Germanwings crash. Prime Minister Binyamin Netanyahu sent a letter of condolence on Tuesday evening to French President Francois Hollande, following the crash of the Germanwings Airbus A320 airliner in the French Alps, in which all 150 persons on board died. Netanyahu also spoke with German Chancellor Angela Merkel and Spanish Prime Minister Mariano Rajoy following the terrible tragedy. “At this difficult moment I embrace the family of Israeli citizen Eyal Baum and send condolences to the families of the passengers from Germany, Spain, Turkey and Belgium who have lost loved ones,” Netanyahu said. “Israel is willing to send all the necessary assistance,” Netanyahu clarified to the leaders with whom he spoke. The French Interior Ministry announced earlier Tuesday that the black box of the crashed plane has been found, and may help clarify the circumstances of the lethal crash. 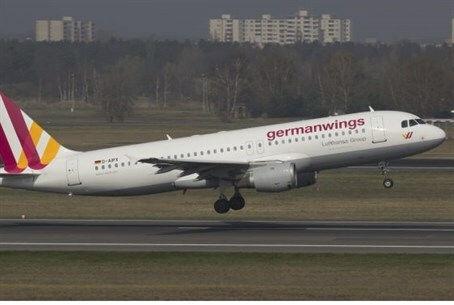 The plane belongs to the German budget airline Germanwings, a subsidiary of Lufthansa. A total of 144 passengers and six crew were said to be on the plane, which was flying on a course from Barcelona to Dusseldorf. After reaching a height of 38,000 feet, the plane started drastically losing altitude at 11:31 a.m., dropping to 24,100 feet within minutes before disappearing from the radar. At 11:47 a.m. a distress signal was received from the pilot who called out "emergency situation, emergency situation."